GITEX 2016 is the 36th GITEX Technology week for startups, entrepreneurs and investors in Dubai. GITEX 2016 is a global event that gathers more than 400 entrepreneurs, investors/ vendors and 250 regional and global VCs from more than 60 countries. GITEX also conducts startup competition where different startups showcase their ideas and engage in mentors sessions. The winning team gets US $160,000 and they also get a chance to attend startup conferences to learn success secrets with startup heroes. GITEX provides an opportunity to entrepreneurs to gather and meet with industry leaders from around the globe. 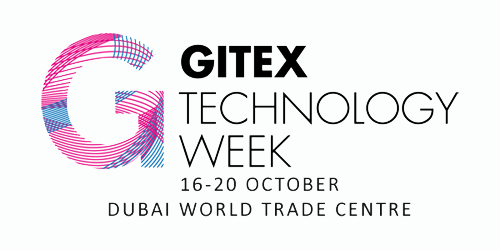 GITEX also provides you a chance to partnership and work with technology community. GITEX 2016 speakers are talented individuals and industry leaders in their respective fields. More than 30 speakers would become the part of GITEX 2016 and some of them are Roberto Ferrari (General Manager,Chebanca), Kamran Elahian(Innovation Catalyst, Global Catalyst Partners), Anna Hejka(Founder And Managing Partner, Capital Markets Poland), Dr. Phyllis A. Schneck (Deputy Under Secretary For Cybersecurity National Protection And Programs Directorate , Department Of Homeland Security, Us) ,James Barrese (Former Chief Technology Officer And Senior Vice President, Payment Services, Paypal), Dr. Aisha Bin Bishr (Director General, Smart Dubai), Troy Carter (Founder, Global Head Of Creator Service, Atom Factory, Spotify), Paul Clarke (Chief Technology Officer , Ocado) and many more.